In what could be a playoff preview, the Dallas Sidekicks lost their season finale 6-2 against Major Arena Soccer League Southern Division rival Monterrey Flash on Saturday night. While the loss was somewhat disappointing, the game had no playoff implications as both Dallas and Monterrey have clinched postseason berths. Monterrey earned a week one bye and Dallas takes on Oxford City FC of Texas on Sunday March 1st at the Allen Event Center. Monterrey’s stifling defense held Dallas in check for most of the game, although the Kicks did rest one of their top strikers, forward Nestor Hernandez. The Sidekicks’ high scoring offense that previously thrived by getting the ball at the top of the goal box to their forwards, where they either distributed or scored seemingly at will against opponents, could not get into rhythm. Sidekicks Midfielder Ricardinho Cavalcante scored the only other Dallas goal assisted by Fabinho in the third quarter. While the Kicks offense could not get rolling, the defense did a good job of holding a Monterrey team averaging 8.5 goals per game to just 6 goals. Both defenders Fernando Garza and midfielder Kristian Quintana had fantastic games blocking shots and playing physical in back, but it was Dallas goalie Dejan “Milo” Milosevic who led the defensive effort. The Sidekicks have experienced plenty of churn and injuries throughout the season, but they have managed to make the playoffs for the third straight year. When this Dallas team has been at its best it plays unselfish gritty soccer. The Sidekicks’ chemistry has been great throughout the year, and as Tatu said, each man will have to look within himself to determine whether or not he is willing to do his job for the greater good of the team. The winner of the Oxford City FC versus Sidekicks game will face the number one seed Monterrey at Arena Monterrey on Sunday, March 8th to decide who advances out of the Southern Division. Tickets for all Dallas Sidekicks home games start at just $9 and are available via Ticketmaster or by calling 469-200-GOAL. 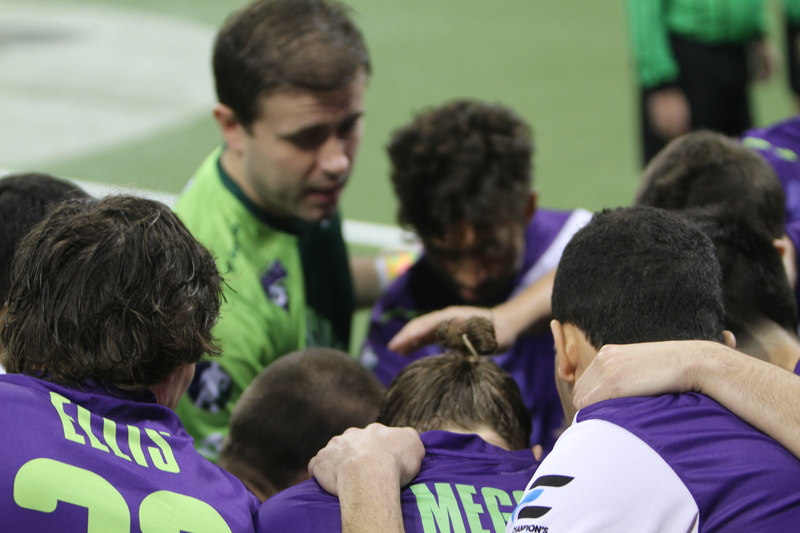 For more information about the Dallas Sidekicks, visit www.dallassidekicks.net. Matt Thornton is a professional writer and the Sports Editor for the Dallas Entertainment Journal. He is also the co-host of Dallas' hit radio/television show Drew Pearson Live with Cowboys Super Bowl champion, the Original 88, Drew Pearson. Thornton is a sports contributor for 97.1 KEGL Cindy Scull Mornings, the TV Color Analyst for the Dallas Sidekicks, and has appeared in both movies and television as an actor. Matt covers the NFL Dallas Cowboys, NBA Dallas Mavericks, MLB Texas Rangers, NHL Dallas Stars, MLS FC Dallas, MASL Dallas Sidekicks, and Southern Methodist University Athletics. He was born and raised in Dallas, Texas and is a member of the Professional Football Writers Association (PFWA) and Professional Basketball Writers Association (PBWA). At the age of four, his Grandpa Joe took him to his first Dallas Cowboys game and Matt has followed the National Football League and sports ever since. Follow Matt Thornton on Twitter. or Click here to visit Matt Thornton on the web.